Pulling your hair out? Take a moment to relax with our Stress Reliever Nesting Doll. 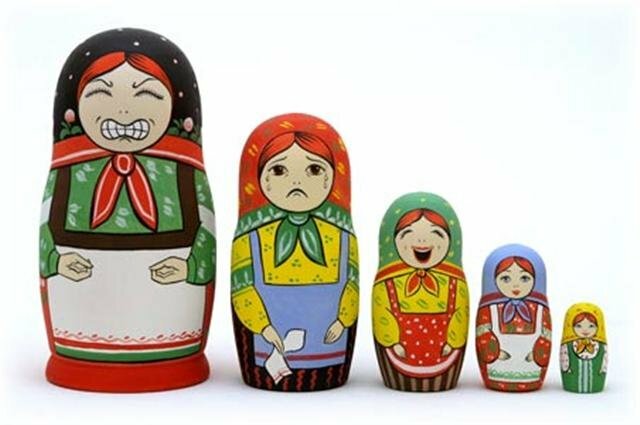 This humorous take on the traditional nesting doll features five Russian peasant girls whose emotions change from angry to peaceful. Once you reach the last doll, you’ll feel better, too! A Golden Cockerel exclusive, this matryoshka is hand painted in Russia.